Look at this handsome fella, with all those wrinkles and a skull that's barely stitched together. I think maybe he should talk to the Botox Pumpkin and learn her beauty secrets. 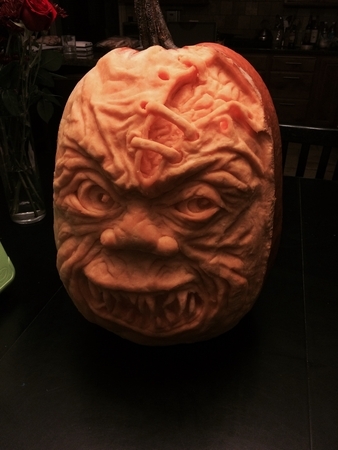 It's a really well-carved pumpkin, all I'm saying is, I wouldn't kiss him, even after a drink or twelve.